If you hate having to run an empty wash or two after washing your pet beds then this is for you. 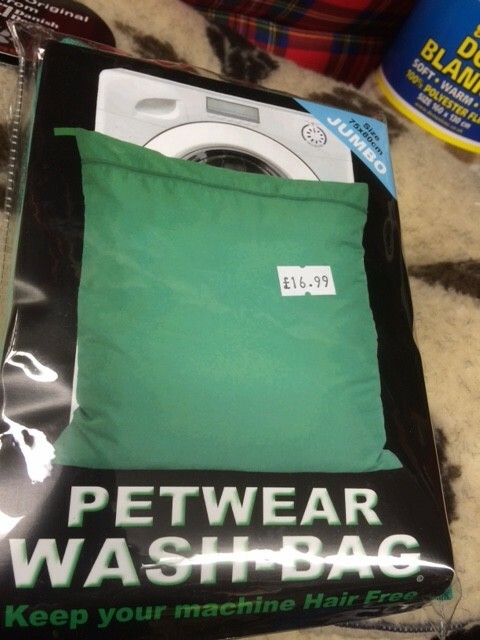 Simply place your pets bedding or coat into this bag, zip it up and put the whole thing into your washing machine. All of the hairs stay in the bag and once the wash is over, just take out the pet bedding and turn the bag inside out and put it on the washing line or give it a shake to remove all the pet hairs. It is fantastic, one of my best household purchases!